The Wausau Region Chamber of Commerce held its 106th Annual Dinner on September 13 at Stoney Creek Hotel & Conference Center in Rothschild. The Annual Dinner is one of the Chamber’s signature events and marked the start of a new program year for the organization. 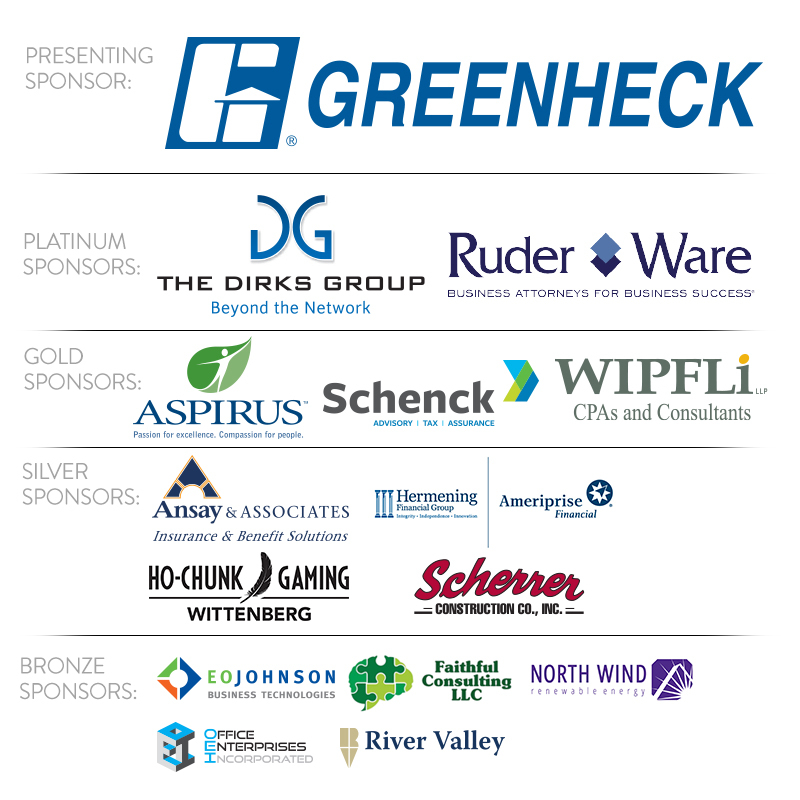 “Looking ahead to 2018-2019, the Chamber, along with partner stakeholders, will lead the region forward as a new economic development plan is built and executed, while continuing to serve as the unique connecting piece for the community between business, education, government and non-profits.” said Dr. Dave Eckmann, President/CEO of the Wausau Region Chamber of Commerce. The Annual Dinner celebrated the previous year’s accomplishments and recognized individuals who dedicate their time and talent to further the Chamber’s mission and bolster the business community and region. The event included the recognition of Ron and Loreen Glaman, owners of Vino Latte, as the recipients of the Ruder Ware Innovator Award. The Ruder Ware Innovator Award in Memory of G. Lane Ware was established in 2015 by Ruder Ware LLSC. G. Lane Ware was a distinguished attorney and consummate professional with a sincere drive to make the Wausau community a better place for life and for business. Ware realized that to succeed in business, you needed to innovate and differentiate, to remain relevant in a changing economy. Additionally, the event included the introduction of the Chamber’s new Chairperson, Dr. Jeannie Worden of Northcentral Technical College, and members of the Chamber’s Board of Directors, and also recognized the outgoing Chairperson, Cory Heckendorf of Wisconsin Kenworth. The Wausau Region Chamber of Commerce also honored Cheryl Anderson of Scherrer Construction Co Inc with the Ambassador of the Year Award. Mike Nichols, President of the Badger Institute in Madison, was the keynote speaker at the event.